A cockpit or flight deck is the area, usually near the front of an aircraft, from which a pilot controls the aircraft. 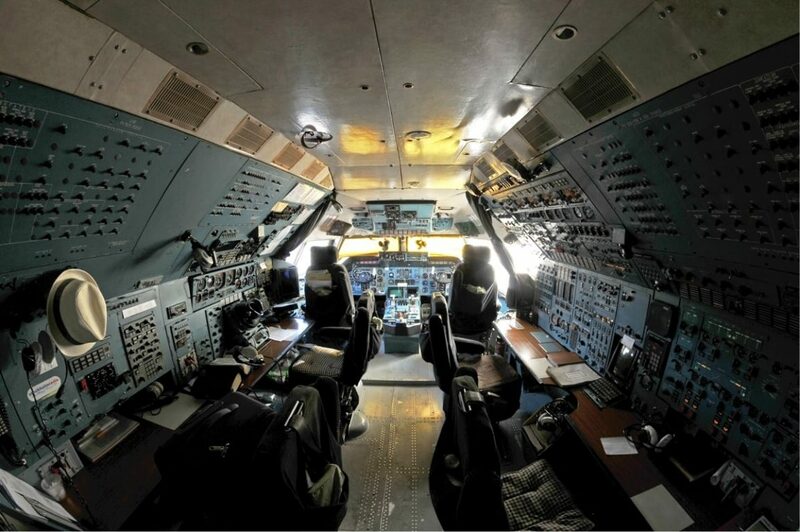 Most modern cockpits are enclosed, except on some small aircraft, and cockpits on large airliners are also physically separated from the cabin. From the cockpit an aircraft is controlled on the ground and in the air. The term described the sailing term for the coxswain’s station in a Royal Navy ship, and later the location of the ship’s rudder controls.